When you don’t allow your age to hamper your sport, you call sportsmanship but when the sport is not bothering your age, then you call it a happy sport for everyone. And that’s what we call Golf! With louder laughs, gossips of and around the world and dedication to playing golf are the things that define the spirit of golf players. Poor rumours like ‘lazy golf lad’ is a big no-no actually for a player throughout his or her life because they need to walk and cover the golf course to understand and make the strategy of golf playing. And this much walking before the actual show needs a lot of strength. Not only this, but the players also indulge in specific diets and exercise to keep up their sound and healthy persona. If you are an amateur player then you must know the rules. Don’t worry, we have your back! There is no denying in the fact that right tool can lead to a successful playing and bring your dream trophies. But for the preliminary chapter, one needs to learn how to choose correct tool for the right shot without losing a fortune. Invest in the equipment which will help you to develop your skills with minimal expense. There are many of the new upcoming and popular golf products on the portal but understanding their utility should be your priority instead of steady buying. Few clubs for sure shot within a budget – You can carry as many as 14 clubs in your golf bag but you can start with a driver, a putter, a sand wedge and supplement the clubs with a 7-iron, 8-iron, a pitching wedge, and a fairway wood with 18-21 degrees of loft. These clubs are thought to be the most efficient partners for the amateur golfers. 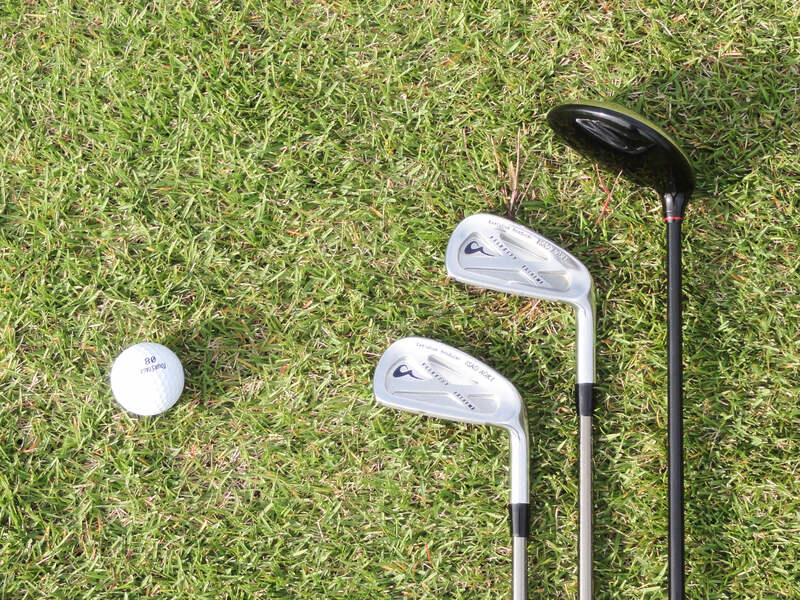 Hunt for a larger golf shop instead of smaller ones and first try a 6-iron with a stiff-flex shaft and regular-flex. One of them would make your iron easy to handle or control. The shaft flex is better to start with all your clubs. Once you think you are experiencing a better hold on this game, a club fitting will enable you to get 100% out of your equipment. For the beginners in golf playing who are actually getting their hand on ‘how to play golf’ can opt for woods with more loft. The extra loft provides easy air swing to the ball and can reduce sidespin while making your shots fly straighter. With a minimum of 10-degrees of loft, you can opt for 17 degrees fairway woods for a good start. 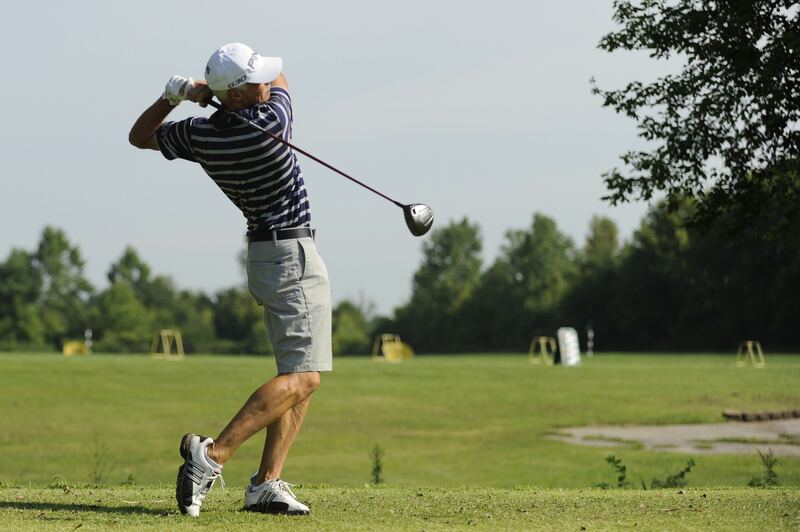 There are some clubs that are exclusively made for the beginners which enable them to make a straight hit. Choose hybrids with wider soles instead of 3-, 4-, and 5-irons which will help the club to stick in the ground during powerful hits. If you are a keeper and tend to lose less then you can go for the better cost of balls. For example; if you tend to lose two sleeves easily in a round, buy golf balls of approximate $20 a dozen and if you lose less than a sleeve in a round, you can consider $40 for per dozen balls. So, don’t stick your mind on the couch and pamper your golfer spirit by first buying right equipment without looting a bank.